Hi everyone! It's Teresa from Fun in K/1. I just thought I would share a freebie with you. 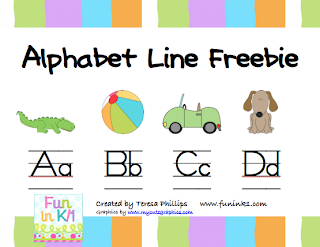 It is a new alphabet line with adorable clip art from mycutegraphics.com. It is set up 2 letters per page. Just download and print. Click here to stop by and grab it.